The plan for BBC3 is to move the channel online. This means broadcasting live on the internet and providing shows through catchup. It can increase the interactive elements for programmes allowing extra content to be consumed simultaneously via second screens. One of the concerns of those battling to save the channel in its current form is that BBC3 is a platform for risky and edgy programmes to be trialled especially comedies. They argue that we wouldn’t have certain stars or programmes had it not been for BBC3’s willingness to give them a go. I think the move online won’t hinder new talent or stop the commissioning of challenging new programmes. If the channel is online, it won’t be restricted by sharing its bandwidth with the CBBC channel and could potentially “broadcast” for 24 hours. If there is no limit to the hours that the channel can broadcast, surely more original and risky programming can be commissioned and produced as there are less barriers. Programmes won’t even have to stick to the linear styles and constraints of traditional production. An online channel could have a mixture of traditional programmes, web series and vlog-style content like the videos you get on Youtube. The channel will need to look at current trends of viewing patterns online and learn how to adapt them. Viewing patterns for television are already changing and I believe this is what has prompted the decision to move BBC3 online. They must have a large percentage of their audience watching the channel’s content online to consider it. I know I’ve contributed this way (though not necessarily my choice). I haven’t had much luck with televisions at uni. First year I didn’t have a tv licence so could only watch programming on iplayer after it had been broadcast. Second year we got a tv licence but our television wouldn’t work with any aerials so we had to revert to watching television on our laptops (online). This year we have a working television (and a tv licence obviously) but the television won’t pick up any BBC channels so, surprise surprise, I am watching all my BBC programmes online on my laptop again. Whilst I do contribute to the growing number of people watching online, something broadcasters are definitely trying to promote given the number of adverts that tell us we can watch content anywhere on any device, this is not the only change to the industry and viewing patterns. Television is not simply television anymore. 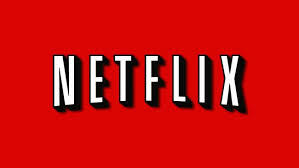 New services like Netflix allow audiences to watch global programmes whenever they want. Catchup services let viewers ignore the traditional model of “appointment to view” television by choosing when to watch programmes. Channels like E4, Channel 4 and even BBC Three have introduced premieres in the last few years which lets audiences watch an episode online at least a week before it is broadcast on television. It’s naive to think of television as a singular form of media now. The internet and developments in technological devices have changed the way television can be consumed and how audiences approach programming. Despite most of these new forms still being in the early stages, the television industry must identify that it needs to adapt to meet the needs of a digital audience. 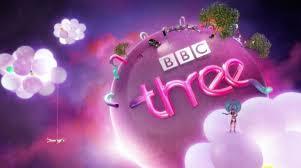 The BBC has done this through its plans for BBC Three. Yes, the decision may be a bit premature but I think it was inevitable that BBC Three would become more visible online, if not fully online, in the next few years.